A brewery in Jerusalem has brewed a beer that it says tastes the same as it would during Jesus’ time. The team at Herzl Brewery took what scientists claim is the type of grain used in beer production in the holy region 2,000 years ago to create the Biblical brew. However, it won’t be going on sale after brewery owner Itai Gutman and his friends drank nearly the entire 20 litre production. Only one bottle remains, and there are no plans to make more, according to The Independent. 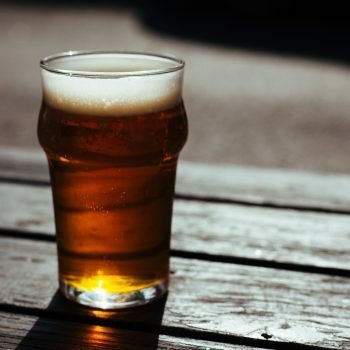 The experiment, which used the special grain donated by the University of Tel Aviv, was simply about “being able to come up with the first ‘biblical’ beer,” rather than selling it, said Gutman. “It’s really not the kind of flavour that has a market”, he said, describing the 3% abv flat brew as having a honey and berry flavours. Hertzl brewery is Isreal’s smallest beer producer, and currently creates five varieties of craft beer.